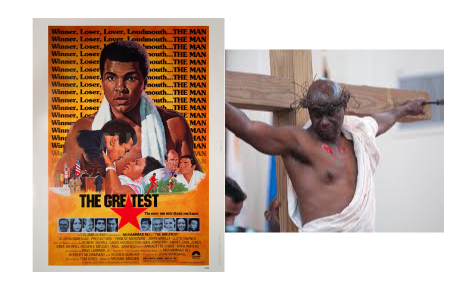 I find it fascinating that two of the most despised things in American culture have been Blackness (see the documentary about great boxer Jack Johnson (Unforgivable Blackness by Ken Burns) and now being a Muslim, yet Americans love the late Black Muslim Muhammad Ali!…what is going on here? Oddly, Ali was a hero for the reason that so many others are vilified: he spoke out against authority (like the alleged whistle-blower Edward Snowden), had the courage to believe in himself (like Cat Stevens who was banned from flying when he became Yusuf Islam), and strove to radically self-identify, (like Rachel Doloziel, lampooned by Kareem Abdul Jabbar). Why do people worship heroes? I believe that it comes from a desire to free themselves from responsibility for their own lives. By putting someone on a pedestal, a crucifix, or a Mount Olympus, they can admire, yet never have to strive for the level of authenticity, suffering, and abuse that comes with bucking the forces of conformity and embracing change. Jesus died and was reborn for out sins so that we don’t have to atone and die ourselves. That is kind of a strange logic but it speaks to the slight-of-hand that we all seek; we want a shortcut to salvation without having to walk the arduous road of being a hero or martyr in our own lives. For me there are two unique associations with the moniker, “The Greatest” that resonate. 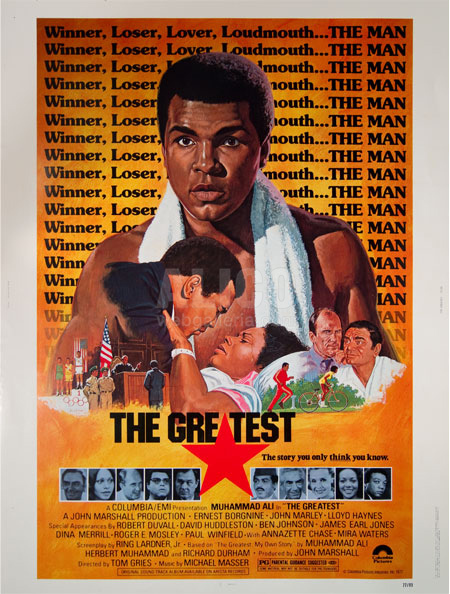 The first is that my parents, upper middle class investors in the 1970s, were lured into investing into a biopic starring the boxer and Robert Duvall about his life called “The Greatest“ which never returned any profit. Last night, I had dinner with a Hollywood producer and his partner, a studio accountant, and we noted that the “rolling break even” is the true Hollywood movie magic, as even wildly successful movies like Peter Jackson’s The Lord of the Rings. There is never any net profit so above-the-line talent always get gross points, which is a bit harder to fudge. 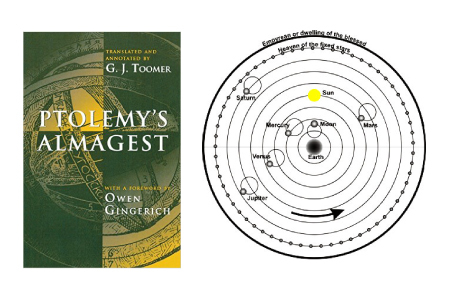 The second association with the phrase “The Greatest” is the Arabic title of Ptolemy’s 2nd century Syntaxis Mathematica—> Almagest or “The Greatest”. For 13th centuries, wise men mistakenly but nevertheless brilliantly put the Earth at the center of the universe. But this falsehood (with superb reasoning) was preserved in the Islamic civilization during the West’s Dark Ages and taught as the seminal work of cosmology until Galileo. Without Islam there would never have been a Renaissance, only the Vatican Library would have copies of the Greek classics, and they wouldn’t encourage reading them. But most of all, if you are too lazy to fight your own battles and afraid of getting beaten down by the system, find a suitable hero or martyr and join on the bandwagon of hero-worship. When the mood hits, you can take out a Muhammad Ali figurine from your pocket and hope some of the power will rub off on you. Or, you can just get in the metaphorical ring of your life and fight your best fight instead.